There is another aspect about FOM, which is rarely mentioned. FOM does not just benefit young people. It is estimated there are about 250,000 UK citizens over the age of 65 living in other EU countries (excluding Ireland), with around half living in Spain. Add to this UK citizens under thise age who are financially independent and you have a not insignificant number of UK citizens directly benefiting from FOM. Housing on the Spanish Costas is pretty cheap. A 2 bedroom apartment can be bought for under 100,000 Euros and Spanish publich healthcare system is as good, if not better than the NHS. This puts the dream of retiring in the sun within reach of even those of very modest means. However, the UK becomes a third country, then UK citizens wanting to retire to Spain would then become subject to Spains "golden visa" scheme. This requires a minimum investment of 500,000 in real estate, thus limiting such retirement freedoms opportunities to the wealthy. Another important benefit of FOM is that it gives UK businesses access to a much larger pool of labour without having to sponsor work visas. 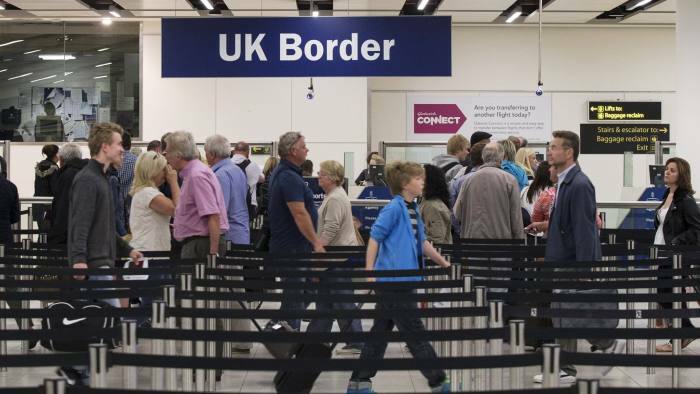 The inevitable outcome of the proposed immigration system will be to draw more businesses into Home Office bureaucracy. This is not to say there are not problems with FOM creating funding and other social pressures on local communities, but surely there are other ways of dealing with this nut other than this enormous sledgehammer?